New Eye Center Clinical Facility at Duke University is under construction. 2013 Life Science R & D Expenditures: $811,296,000. The university will receive a $137M grant to aid in the discovery of an HIV vaccine and will receive $19M of this in the first year. Get more funding stats for Duke. We invite your life science product supplier company to experience this upcoming Duke marketplace event for 2016. Duke has been ranked second in the nation by the National Science Foundation (NSF) in Life Science Expenditures and has attracted hundreds of researchers every year for nearly twenty years. When you register for the Duke University BioResearch Product Faire™ Event by Friday, February 26, 2016, your company will pay $250 less than the standard event price, get the best placement available, and meet active researchers in this prestigious marketplace. 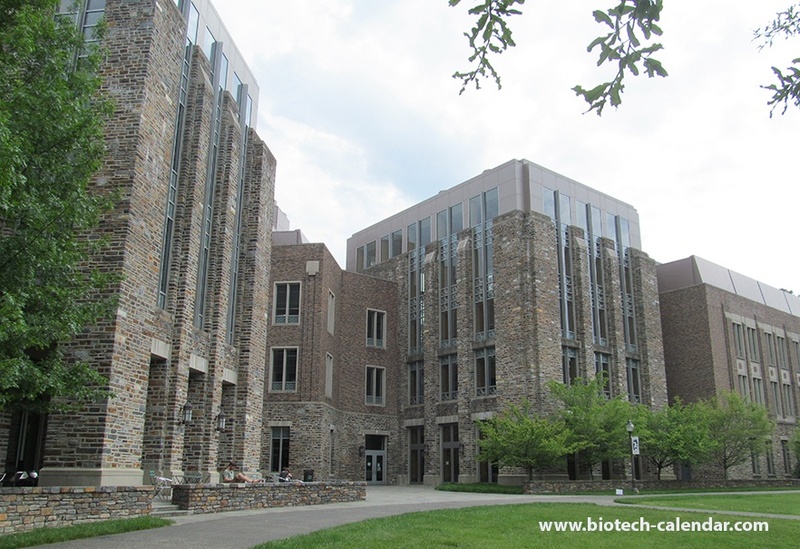 Call Biotechnology Calendar, Inc. today to register for this event now and save on meeting North Carolina researchers with purchasing power at this upcoming May event.